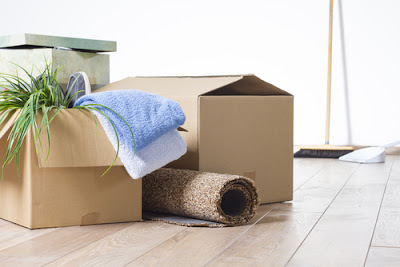 When thinking about relocating to a new place, the first thing that will automatically come into your mind is how you are going to move your belongings. This question is usually hard especially for those who have never moved before. Moving your belongings, especially the furniture requires utmost care to ensure that nothing is damaged. If one is not careful enough, they may end up destroying furniture worth a lot of money. Furniture is prone to scratches and damages if it is not handled with care. It is therefore crucial to ensure that you use the care that is needed when moving. It is quite frustrating when you are unpacking furniture after a move to find dents and scratches all over. Some of the furniture might be in an already deplorable condition when you are moving. Without proper care of that piece of furniture, the situation will be exacerbated. You might break that weak shelf when you do not apply a lot of care. After it all, you might find that you are paying a lot in repairs. Worse still you may end up having to replace that piece of furniture. All this shows how important it is to apply utmost care when moving. When it comes to moving, especially by road, there might be bumps and dents on the roads what might pretty shake up your furniture. If the shelves are left intact, this might result in them getting weakened. When moving, you should ensure that you clear out everything; remove all the shelves, remove all the things inside the kitchen cabinets and keep them safe. By so doing, you will be ensuring that the items and the shelves are all taken care of. This will also make the loading of the furniture into the trucks quite easy as they are lighter. During the way, there is a tendency of the furniture collecting some dust. If you have cleared everything, it becomes quite easy to dust and clean the furniture once you get to your destination. One of the worst mistakes that people make when they are moving is that they are not careful of how they pack the things in the truck. If the furniture is not carefully placed in the truck, this increases the chances of them getting harmed. When packing your property inside the truck, it is always good to ensure that they are well packed in the truck. Fitting them tightly together reduces the space between them which in turn reduces “play”. This ensures that the furniture does not “move about” during the move. This will decrease the chances of it getting knocked and banged on each other causing it to break. Another thing, it is always important to carefully the furniture, the shelves, the beddings, your clothes and also shoes should be placed in large boxes and placed together. This helps reduce the number of trips you will make and therefore help cut on both time and resources. It also ensures that nothing is lost or forgotten during the move. 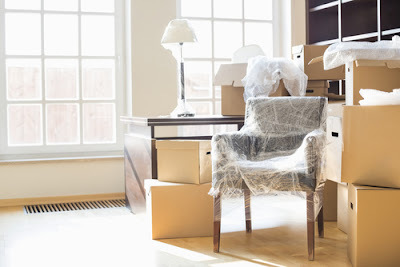 When using the packing tapes, it is also good to ensure that they do not come into contact with the items that you are transporting as this might damage your furniture by leaving sticky marks behind. There are different kinds of moving different kinds of wrapping tapes, sheets and moving blankets. The most important thing to ensure is that the property is well taken care of. Packing it carefully using the tapes and the blankets will reduce the risk of it getting damaged along the way. One should also ensure that they use the thicker moving blankets on the more delicate kind of furniture, for instance, glass tables, couches and the soft wood furniture. This will avoid possible damage and scratches. Again, avoid placing heavy items on top of others as this may make them break. The heavier items should always be packed first and the lighter ones placed on top of them. Moving is not an easy task. It requires a lot of experience to pack and move furniture in trucks. At times, one may lack the necessary skills to pack and load the furniture in trucks. While it might not be necessary to hire a whole moving company as it may be costly, you may want to have a worker from a reputable company in Singapore help you pack and load the furniture into the truck This will go a long way in ensuring that your property is well taken care of. Most of these people have been moving property for a long time. They therefore know what should go where. They also make the packing job quite easy and a learning experience for you. You should therefore consult them if you are not sure about your packing skills. The above are some of the tips that any mover in Singapore can apply to ensure that the moving job is a success. The most important thing in any moving job is to ensure that the property gets to its destination without any harm whatsoever. This might require one to pay a little bit more to ensure that the furniture is safe. This is however nothing compared to the amount that one might spend in repairs and replacements when the property is destroyed during the move. One may also research on moving sites to learn more about should or should not be done when one is moving. There is a lot of information available on these sites. Where Can I Rent Moving Lorry With Driver? The most exciting experience is moving into a new home and more so to new office. It is a new phase in life as you are going to have experience with new neighbors and new location around. People moving into new homes, new offices or transporting equipments from place to place often ask where to find a lorry with a driver to help in the process of transportation that involve movement. House Mover Singapore takes care of moving the house furniture and office equipments. They have Lorries and trucks that are most convenient for the transportation when relocating to a new place and the lorry comes with company driver. House Mover Singapore is a company that offers services that eases relocation to new areas and safety of facilities while in the course of transportation. They have professional surveyors who are well equipped and educated with exceptional skills to help in making decisions when in the process of relocating from a residential place. The House Mover Singapore staffs on the contrary, are much knowledgeable and the most important thing about them is that they are hard working, polite and very careful when handling goods and equipments that are being moved. The House Mover Singapore tends to offer all sorts of moving services, like moving pianos, safes,and also various organs. Some of the things that ought to be considered when relocating goods from one place to another by the aid of moving companies like HouseMover Singapore. 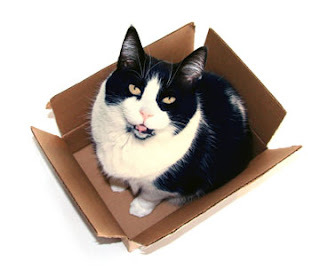 company will not be responsible if the goods are packed by owner also known as PBO. They will only insure goods if the company offers a professional, who packs, load and remove the goods from their lorry. The person who packs the goods must sign his name on the packed goods and equipments so that in case there is damage, the company knows who is responsible. After every good has been packed and locked in the van, lorry or container then they are under the care of the driver and the person who is with the driver. 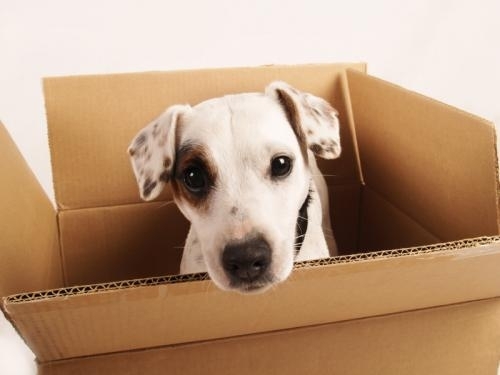 Fragile goods should be handled with a lot of care and the driver must avoid rough driving. Crates made of wood are in most cases used when transporting heavy, bulky and odd shaped objects. Moving of old furniture into and out of the house is usually a big challenge since the body must be having weaker parts. The cost of moving is determined by the weight of the goods, and in other cases by the distance between the places of movement. Heavy goods will cost higher amount than light ones and at the same time the cost will be even higher if the distance is longer. But at times the costs are offered at a flat rate where they do not consider distance or the weight of goods being moved. client. The services of offered by this moving company are relatively cheap since the client do not have to do any work. Considering what the company is going to offer you is much important since other moving companies will let the client do the loading and offloading. The company has the duty to organize and schedule the move in advance. This gives you the best opportunity to prepare and get ready before the actual move. At House Mover Singapore the packaging of house equipments differs from packing of office supplies. Office supplies might be too tough and tiresome and involves heavy work as compared to moving from a residential place. For smooth and safer movement from residential places or office, original boxes are use to avoid unexpected breakage and damage that might result. The boxes, strings and crates that are used during the moving period are recycled for further use by the moving company. 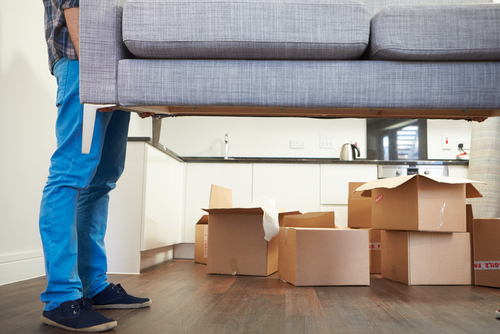 You have probably heard of the horror stories that are associated with moving. Stories such as the finding all your valuables have stolen, almost all the items that the truck was carrying have been broken or damaged and other horrifying stories. These horrors are real and should not be dismissed as mere bad luck. However, the good thing is that these horrific stories can be avoided very easily. Most of the people who tell you these stories could have avoided them had they been more careful or paid attention to the details of the house moving company that they selected. 1. Choosing A Moving Company That Is Less Than Reputable.They say that reputation is everything and that is almost entirely true. When some people want to move they will select the first moving company that they come across. They will not take their time to carry out their on research on the company to check whether it meets certain regulations or bother to talk to people who have used the services of the moving company. If the company has no reputation it is probably because they offer poor services or they overcharge you. Before you select the moving company check with your friends who have used the company before. If none of your friends has you can check the internet for reviews about their services. 2. Not Asking For A Quote. This may seem like an obvious thing to ask but a lot of people never ask for quotes when they are selecting moving companies. They just think that they will be charged a fairly reasonable amount for moving their items especially if they are not moving to a far way location. With many house moving companies there are usually very many hidden costs which you should inquire about before using their services. If you do not ask for a quote the house moving company will most likely overcharge you and include expenses they would not have included if you had asked for a quote before selecting them. Moving house companies also have periods where they have a lot of clients who want to move. During this period the demand for their services is usually very high. If you decide to move during this period there is a very high probability that the charges will be very high. Try and select a moving company when you know very few people are moving since there will be less demand even the costs and charges that you incur will be lower. Some house companies are usually too busy. Here this simply means that their manpower and resources are a bit strained but they will still try and offer their services to as many people as they can. Selecting house moving companies of this type is a mistake that you should avoid. The workers who are responsible for carrying items to the truck may be overworked or they could simply be tired. 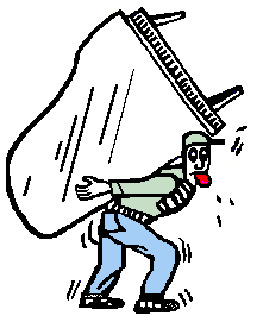 When it is your turn to move they may be negligent and carefree since it is a task that is tiresome and boring. Their negligence may lead to most of your items getting damaged along the way. 5. Choosing A Moving Company Without Insurance. When moving anything can happen since you can never be too careful. Selecting a company that does not offer insurance on your items is a risk that you should not be willing to take especially if the items that are being carried are valuable. Always select a company that will cover all your items. This will help protect you from any huge losses. Before you select a moving company you should know everything about all the moving companies around you. You should look at which companies offer the best deals, which company is always on time, which is the best company for moving a small number of items and so forth. When you have all this info at your fingertips the chances of you making a house moving mistake is almost non-existent. This is because you will know the good and the bad of each company and you will know which house moving company is best suited for you. Where Can I Find Piano Mover? Moving can be a very expensive and a quite hectic undertaking. It can even turn out to be a nightmare if you lack the proper know-how on how to go about it. Even when moving from an apartment to another on the same street, you are likely to find it quite challenging to manage the overwhelming work that is involved in the process. This is the main reason why most people opt to go for the services of moving companies. Moving companies are established business that offer their professional services to their client by helping them go through a stress free relocation process. When selecting a reliable company whose services are guaranteed not to disappoint, be sure to check out the http://blog.housemoversingapore.com/. The internet is the first place where you should begin your search for a reputable and professional moving company in Singapore. By using the internet, you are likely to be bombarded with a wide variety of moving comapnies from which you are to choose from. You can use the internet to get more information on any of the given comanies in Singapore. You could even get to them through the phone and speak to a representative. When selecting a moving company, be wise to ask them several questions regarding their services.Your questions should not be limited to the cost of their moving services. Do not compromise on the quality of the services offered over the cost. If you own a piano, then you probably know that pianos are among the hardest thing to move. This is due to their awkward shapes and the fact that pianos are verify delicate. In most cases, a normal piano will weigh about 200kgs. This will require you to hire the services of a piano moving company to help you with your piano moving headache. With a piano moving company, you are guaranteed that your piano is in safe hand. Whether you need your piano moved upstairs or even downstairs, with a qualified and experiences piano moving company, you are guaranteed that your pricey piano will get to where you want it to be safely. Pianos are very expensive. This is the main reason you should invest in the services of piano moving firm to make sure that your asset comes to no harm. The company you opt for should be able to help you with any piano design that you got. 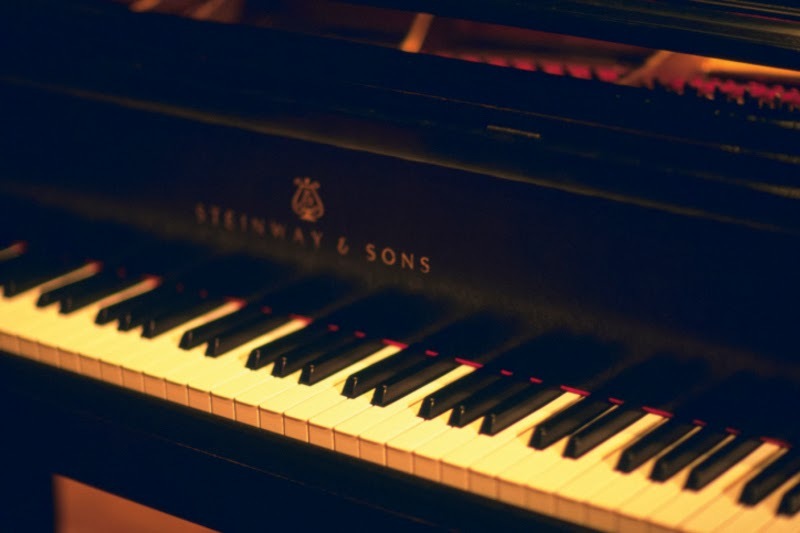 Whether you have its a grand piano, digital piano or even organs, the company you opt for should be equipped with highly experienced crew to ensure that your piano is safe and who you are likely to trust and feel comfortable with as well as easily trust. Set up with an appointment with you preferred piano moving company singapore and get to know more about their services. Among the question you should be able to ask your company includes whether or not they are insured. Should any damage occur to either your piano or any other of your assets as a result of the moving crew, your company should be in a position to take care of the damages. This will require them to be covered by an insurance policy. Ensure they explain their terms and conditions clearly pertaining the damage of goods while in their possession. You should equally undertake a thorough background check on the company to rate their customer satisfaction level. In case of any unsettled dispute with any of their previous clients or any other worrying factor, that should be a clear sign that you should look elsewhere. Do not leave your piano in the hands of unreliable piano moving service provider in Singapore. Most piano moving companies have endeavored to have an on-line presence. This makes them easily accessible round the clock. Use the online platforms to compare their quotes. However, you should be wise to compare the quotes provided with the level of services the company offers. Do not pay cheaply for unprofessional and unreliable services. It would be wise to pay more for a world class piano moving service. Compare different moving companies before settling for a deal with any of them. There are numerous moving companies that you have to choose from. Some of them may not offer quality services loke they may claim. To find the best and a redliable piano moving company, you wil be required to take your time and do a thorough research on the available options. By undertaking a thorough research you increase the likelihood of getting value for your cash. Moving services are quite pricey. This is the main reason why you need to ensure you get the best service provider there is in the industry. Are you planning to move your office to a newly located premises? Then, you need to remain attentive as far as moving is considered by checking out numerous mistakes that are commonly committed by others in general. Reducing your overheads is something that is best possible for you in this regard without getting through any major issues. Meanwhile, there are certain moving firms promising you with the best results that you highly anticipate. Checking your requirements online and matching with the standards are some of the common features that you must consider in accordance with the latest necessities of office moving in general. Managing several features at the same time will leave you high and dry. The effects will be shown upon your moving needs causing several problems in an eventual manner. Taking more time and spending more money will result ultimately that you never desire for sure. Create your own team of movers and packers in order to facilitate your requirements in an random fashion. Also, you must prepare a checklist to consider the tasks to be considered for the purpose of moving as per the exact moving needs you got. Moving your office without affecting your work must be considered in an effective manner. There are certain instances during which some people are prone to work out things in such a way that the regular business operations are hugely affected. Planning to move the office during the off-peak hours or on holidays will prove to be highly beneficial. Remember that you must cover all the activities in the stipulated timeframe so as not to affect your business operations in any manner for sure. Seeking the assistance from professional movers will prove to be highly beneficial for you. Businesses relying upon modern communication devices involving computers and also internet need to be attentive to an even further extent. Any laxity in this regard will result in severe disruption of regular services causing maximum losses for you in the long run. Instead of bettering the situation by seeking professional guidance from one of the experienced movers, you might even worsen the situation due to the lack of understanding and experience. Maintaining perfect infrastructure intact before and after moving is something that needs to be considered in the first place. Extra costs need to be borne because of the major damages caused to your furniture. Perhaps, you might have to buy new ones as you are incapable of using the existing ones resulting in more expenditure unnecessarily. It is possible to reduce the damage by choosing furniture available with special discounts in an extensive manner. Premium quality aspects need to be considered in a diverse fashion without going through any major issues. Handling with care in the case of office furniture needs to be considered with maximum ease. Proactive planning to move your office is to be taken into account so as to avoid any possible delays. There are several vendors of reputed who are known to offer prompt services for an affordable pricing. You need to concentrate upon all those features in order to ensure that you are able to experience best moving features in an ideal manner. Logistics need to be given utmost importance so as to avoid any problematic situations that might result in loss of official work. Trained moving professionals available with reputed relocation firms are known to make a huge difference as far as maintaining highest quality standards is considered. Educating your staff about the tasks to be carried out on an emergency basis before and after moving too will help you in avoiding any possible disruptions at the time of schedule move for sure. Relating your case with the previous instances in a precise fashion too will prove to be hugely beneficial for you in accordance with the latest requirements you got. Reputed vendors are available to make a move safely for any office because of the competence existing in the moving field. 6 Reasons To Choose Mr Mover As Your Moving Company? Every now and then, we all need to move from one residential or business premise to another. The reasons for this move depend on an individual but the top most desire for all when moving is an easy process and the safety of their property. How do you ensure this? Getting a moving company is highly recommended. There are many advantages of using one. If you are in Singapore, Mr. Mover is an excellent choice. Here are some of the reasons why many people continue to trust the services of this company. Whether you require a company to help you move across the street, to a different neighborhood or town, this is the company to work with. Mr. Mover has the experience to make your moving stress free and fast. This is made possible by its team of dedicated and skilled workers who will go out of their way to provide exactly what you need for the job to be successful. In addition, the company has enough facilities to handle any task no matter how challenging it might be. Ask anyone who has ever used this moving company and you will be amazed at the positive feedback they have to give. It is very frustrating when you book the services only to be told at the last minute that the company cannot deliver or the vehicle breaks down on transit. Mr. Mover keeps its word. When you book its services, it makes sure that it can deliver what it has promised. You can rely on it because it is honest, dependable and trustworthy. You do not have to go to the company's premises unless you want to when you need to book the services. You can make a phone call and arrange everything easily. Also, you can have the company send someone to your premises to give you a quote and check what will be required for a safe and fast move. Do you require package materials, packing help or do you want the company to take care of the whole process as you attend to other things you need to? Mr. Mover can offer you full moving services where your work is just to watch and ensure that the things are in the places you prefer them to be. You do not have to spend a fortune when moving. This company has the best rates you can find in Singapore. Though it has quality services and some of the best movers in the country will serve you, you are assured of a pocket friendly budget tailor made to suit your individual needs. What Are The Pros & Cons of Hiring Local Movers? 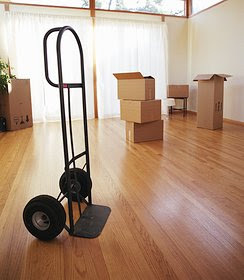 Shifting to a new place is always a strenuous experience, whether you do it on your own or hire a professional mover. Besides, it may not be light on your wallet if you are moving to a place in Singapore and hire a random mover to take the load off your shoulders without thinking much. Yes you heard that right movers in Singapore can be costly unless you spend some time pondering over the pros and cons of hiring one in Singapore. Besides, Steer clear of those who would decide on a price before they check out the job at hand as a professional mover would always visit your place before they agree upon taking the job in hand. Now, let's move on with the topic and shed some light on the pros and cons of hiring local movers. 1.Time is a very important commodity to everyone these days. So when you are shifting to a new place in Singapore, hiring local movers will spare many hours of your precious time which you will otherwise spend in packing. Besides, it will keep you tension free and you will have lot of time to invest in other important tasks such as investigating about the neighborhood, taking care of your job and the list goes on. 2.Next on the list comes insurance. Most professional moving companies in Singapore have insurance plans. This will protect your possessions while in transit and in case of any mishaps they will readily compensate for your loss. 3.Professional movers have the skill and experience in dealing with packing and moving. Hence, you can be rest assured that your possessions are in good hands. Now that you are aware of the pros, let's discuss the cons. Cons:1.Most professional movers in Singapore are costly. Hence if you have little possessions which may very well fit into the back of single truck do it yourself or call some friends over to help you with packing and stuff. 2.Besides, they may be professionals but may not care enough for your family heirlooms like you do. Although most of these companies have insurance facilities will indeed cover for replacements but what about the sentiments attached with your possessions. They will certainly not cover for that. Hence, it is always imperative that you assess all the pros and cons of hiring local movers in Singapore. However, while hiring one don't forget to check out their reputations and always go for a licensed mover if you want optimum value for your money. Besides, licensed and reputed movers may be costly but they will take care of your possessions in the best possible manners.